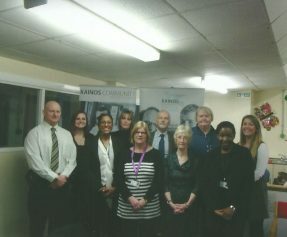 Challenge to Change, a groundbreaking offending rehabilitation programme run by Kainos Community (part of the Langley House Trust group), celebrated its 200th graduate at HMP Haverigg on 31st January 2017. 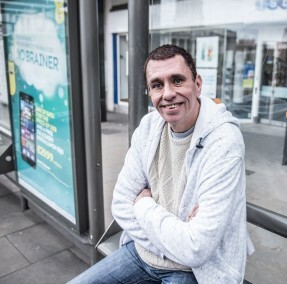 The pioneering programme has been helping men in prison to change their attitudes, thinking and behaviour so that they live crime-free once released from prison. Established in 1997, Challenge to Change has helped thousands of men to take responsibility for their behaviour to help them stay crime-free beyond the prison walls. The 200th graduate is a milestone in the programme’s lifetime at HMP Haverigg which has hosted Challenge to Change since 2013. The programme involves taking over an entire prison wing and running it as a ‘community’ – with prisoners responsible for managing the behaviour of the community. One of the reasons for the programme’s success is that it promotes respect, mutual accountability and personal responsibility. Graduation ceremonies are a highlight in the Challenge to Change calendar and for the 200th graduate at HMP Haverigg, this was no different. Each graduation celebrates the achievement of participants who have successfully completed the six month 24/7 programme. Emotions ran high as graduates committed to change in front of invited friends, family and loved ones and apologised for their previous behaviour. One graduate shared about his journey involving drugs and bad choices and publicly took responsibility for his actions going forward. Since I’ve finished this course I have [felt] so much better. I’ve gone back up to 11 stone – I was 9.5 stone before. I can’t wait to get out and start working and make some good out of a bad situation. I want to be there for my son and live a healthy and crime-free lifestyle. It was great to see the families of the graduates make the long journey to Haverigg in Cumbria to celebrate the end of the course. It was very emotional to hear how each of the graduates had grown through being on Challenge to Change. Although many of them said how incredibly challenging it had been, it had caused each one of them to examine their thinking, motives and the effects of their previous behaviour on others. It had also given them practical solutions which they could use in everyday stressful situations helping them to make better decisions. Challenge to Change currently runs in three prisons in England – HMP Haverigg, HMP Guys Marsh and HMP Ranby. In research recently commissioned by Kainos, findings showed that incidences of poor behaviour, including violence, reduced by up to 75% on Kainos-run prison wings, compared to other prison wings.